«Mike dear, a present ought not to be very expensive – unless you are trying to get a girl to marry you, or something. Especially ‘something’. I really like xmas — the feast of giving. 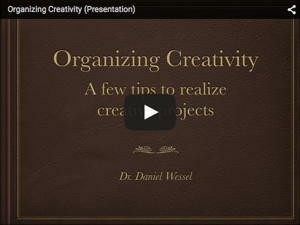 It’s usually a nice idea to be creative and find something … well, someone «would enjoy but probably would not buy for himself». 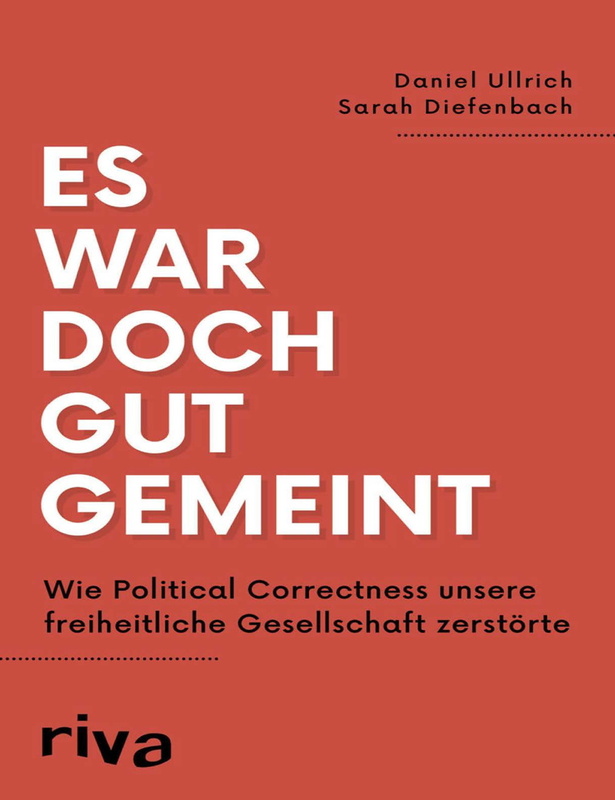 This year, my brother did get something that he hopefully would like — a book on political correctness: «Es war doch gut gemeint: Wie Political Correctness unsere freiheitliche Gesellschaft zerstörte» [But it was well-intentioned … How political correctness destroyed our liberal society] by Daniel Ullrich and Sarah Diefenbach. 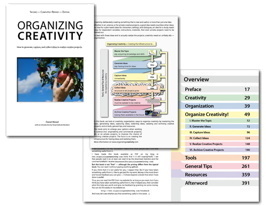 Here the ebook version, I did gift the hardcover version. And yeah, the cover got skewed. 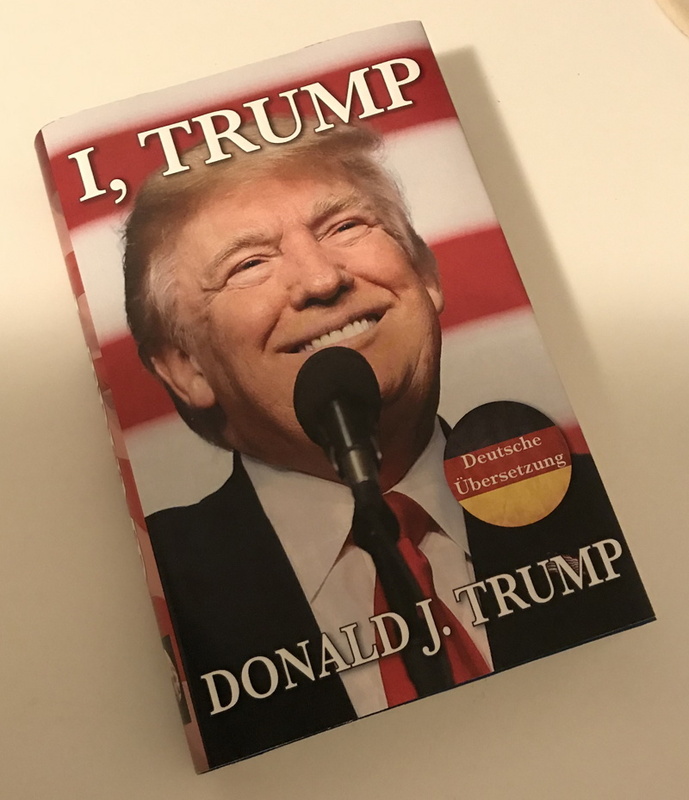 The book is actually pretty good, fairly well-balanced and fair. But it also was lacking something — the right cover. Made with some photos I found online. Not that difficult to do, although the German flag looks misplaced. I admit it, I am actually a bit proud of the writing on the back. And yeah, he played the media with his opponents. During the creation of the cover I also thought about going the Hillary route. She did write a book, but it could have done with a few improvements. So I did that one too (using her book cover as a template). The other false dust-jacket. Hillary’s title was going in the right direction, but it lacked a question mark and the right photo (and there are way worse photos). Her psyche was easy to dive in. Although the quotation in white on blue was actually an adaptation of a tweet by someone else. 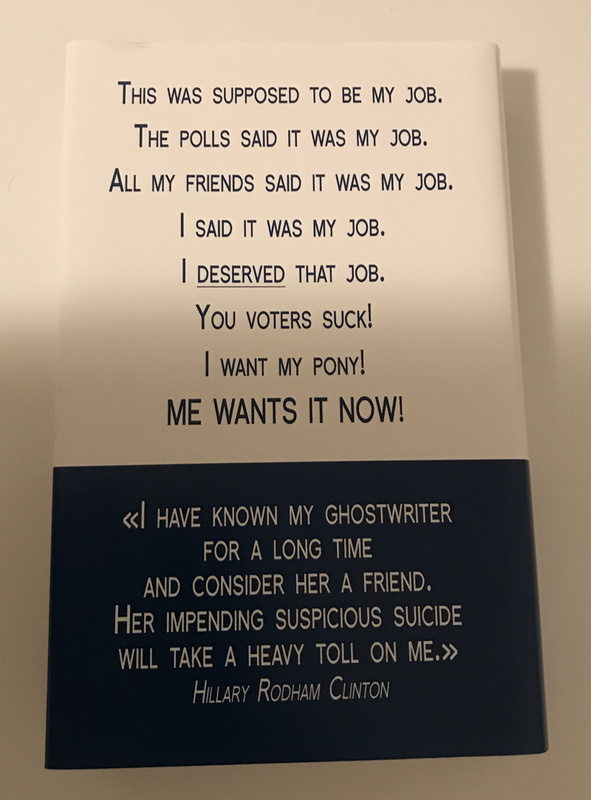 And thinking about it, in the blue on white text I should have written presidency instead of pony. In the end, I ended up with two fake covers. Both done with InDesign (which I afterwards vowed never to use again due to Adobe’s price policy and the programs sudden instability). 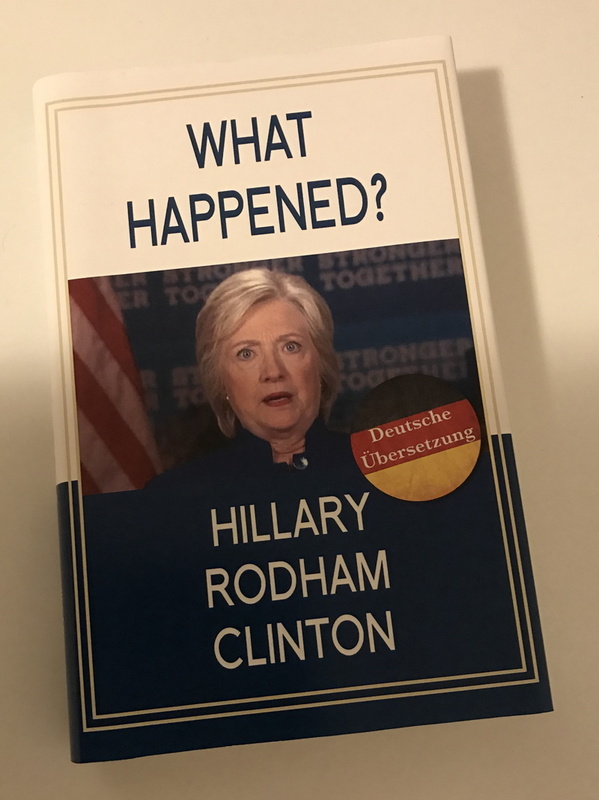 The Hillary one was carefully fixed with some tape on the hardcover book (which did not have a dust jacket). Then it just put the Trump cover around it. And it worked beautifully. 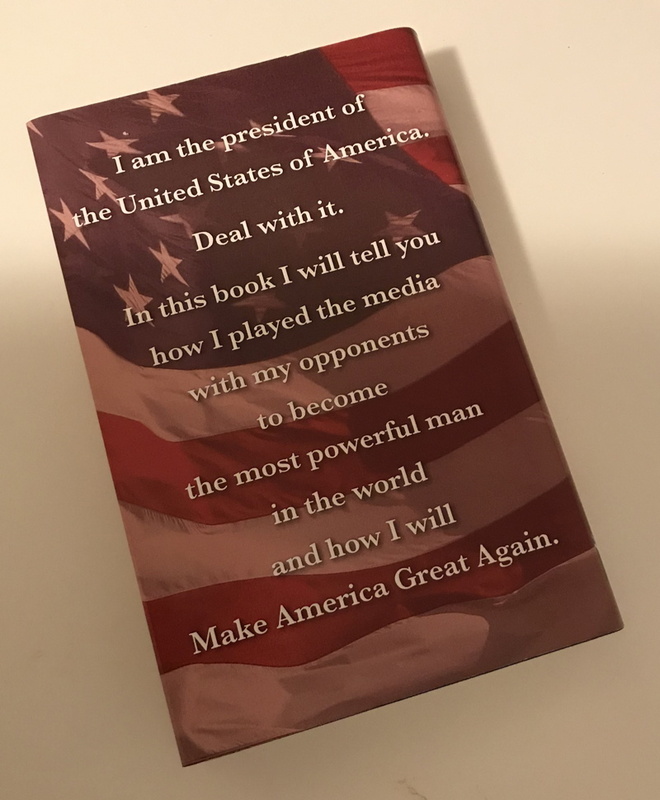 Granted, the MAGA hat might have put him off guard (he really liked it as joke-gift), but he was fooled by both false covers. Really funny. you’d get some smirks on the subway.